"We stripped in the first warm spring night..."
Philip Levine "has been called the poet of the proletariat by one critic, and indeed there are few others who deal with factory life and can replicate the experience of it as Levine does." Born in Detroit in 1928 to Russian-Jewish immigrants, Levine both witnessed and experienced first-hand "the crushing pressures felt in the lives of the poor." He began writing poetry while working days in an automotive factory, and attending what is now Wayne State University at night. His experiences and observations from that time have influenced much of his work, and fill two of his most acclaimed volumes of poetry, 1933 and The Names of the Lost, in which "Belle Isle, 1949" appears. Among his many honors, Levine won the National Book Award in both 1976 and 1991, and the Pulitzer Prize for poetry in 1995. He is the distinguished Poet-in-Residence in the Creative Writing Program at NYU. Philip Levine's reading is part of the WGBH series POETRY BREAKS created by Leita Luchetti. "Belle Isle, 1949" from They Feed They Lion and The Names of the Lost by Philip Levine, copyright ©1999 by Philip Levine. 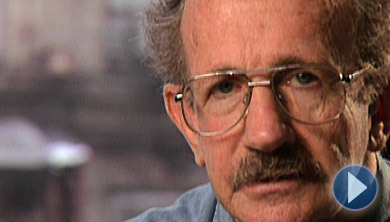 Used by permission of Alfred A. Knopf, a division of Random House, Inc.
To read this and other poems by Philip Levine, as well as biographical information about the poet, please visit the Poetry Foundation Web site.